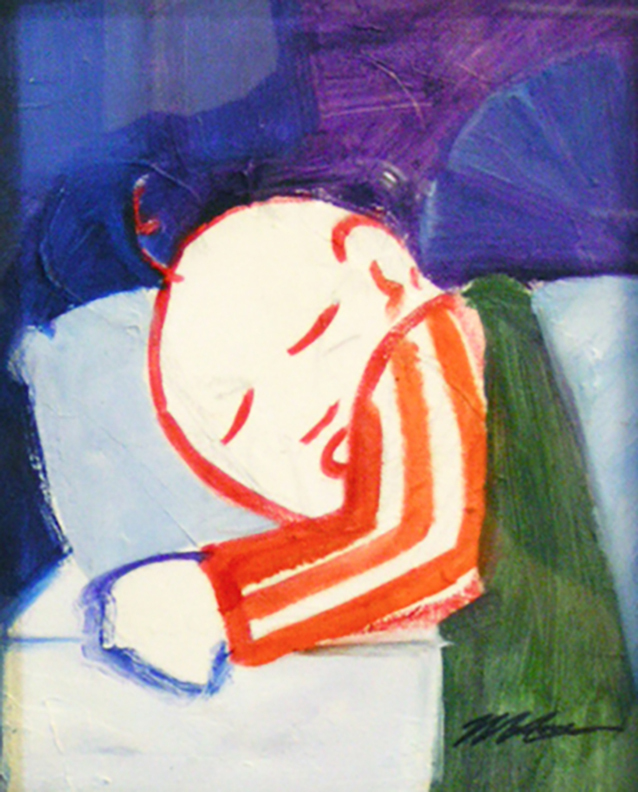 Specifically designed for Noah's Restaurant's holiday art exhibit in 2005, the Stuffed Animal Portraits were an experiment to learn about the depth of subjective perception in the development of pictorial narrative. 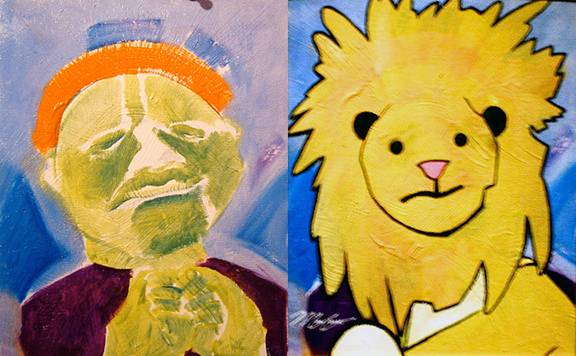 Each portrait began with a child painted on a sculpted surface, and was then transformed into an animal avatar. Oil paint on sculpted gesso boards. Thirty-six 8.5 in. x 11 in. paintings.